A space that was once a bedroom was converted to a custom walk-in closet. The closet takes advantage of every square foot while showcasing the client’s personal style. 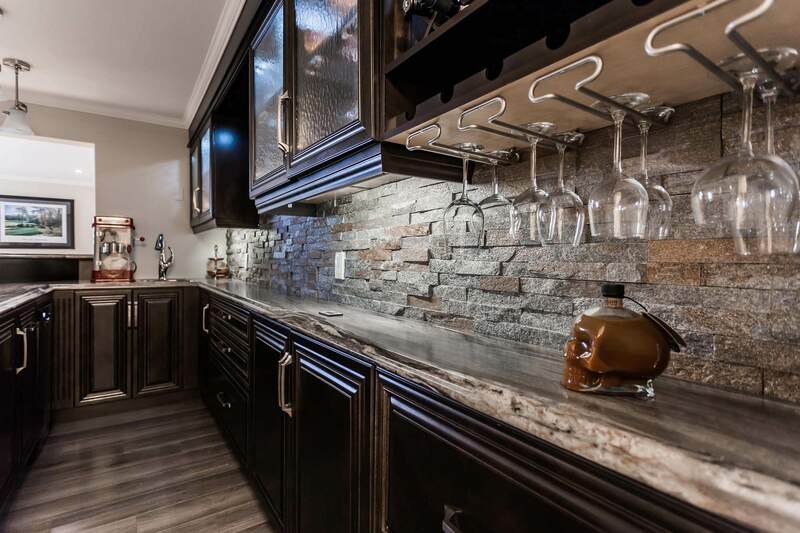 The rock backsplash provides eye-catching contrast against the smooth dark cabinets in this bar area. 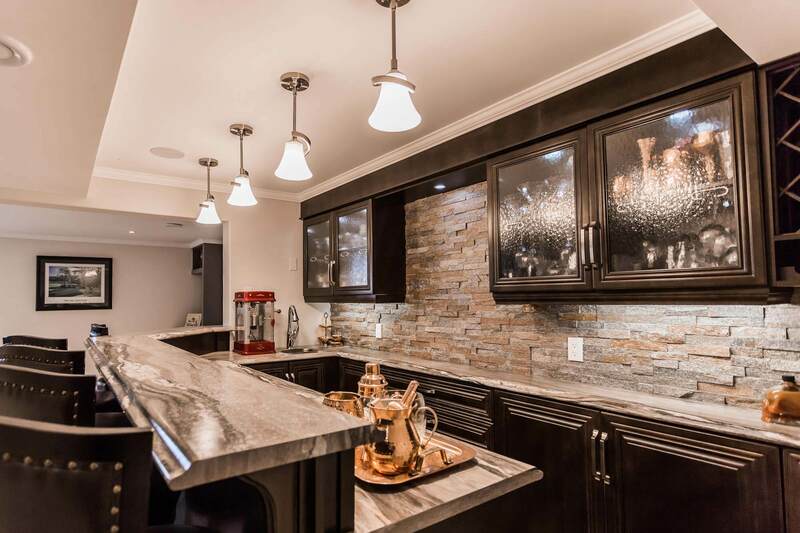 The backsplash coordinates with the dark wooden floor, giving the home a sense of cohesion and flow.